I feel a little sorry for Glen Scotia. While neighbour Springbank is beloved by many, hoarded by more, and has a long check list of legendary issues that anyone serious about whisky should aim to try, Glen Scotia hardly seems to make a squeak in this white hot market. It is not for lack of effort. Owners Glen Catrine Bonded Warehouse redid the website and revamped the core line, spent good money in creating crazily neon bright bottles, and then getting rid of those eyesores for something with a lot more class, meanwhile rolling out 2 new NAS bottles. All with so little noise that I actually think they could really afford to market their product a bit more. Then again the owners are not known to be conventional players. Glen Scotia was closed between 1994 and 1999 when the current owners acquired her. Hence you’ll often see independent stock from the early 90s, while the core line is now either NAS or a 15 year old, because math. By all indications the new owners took restarting the distillery seriously and maintained a 6 week run of peated spirit every year. 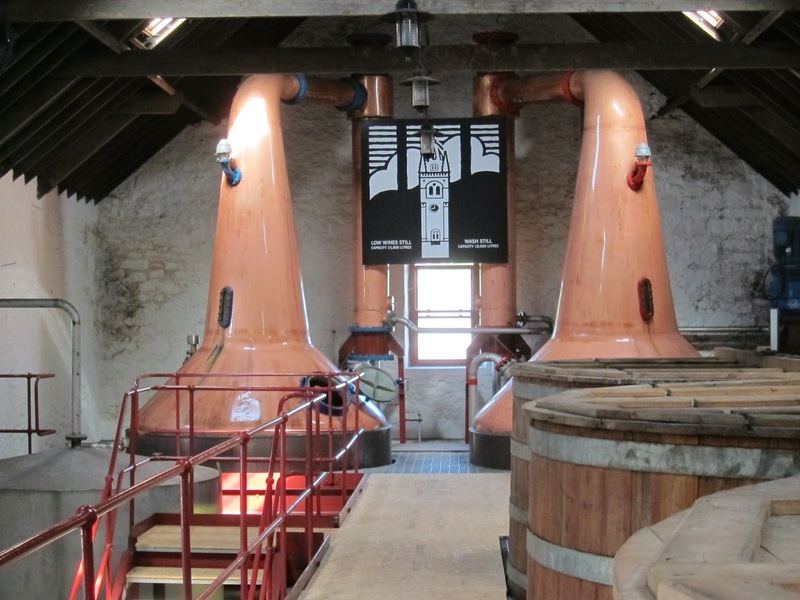 Longer fermentations, slower more careful distillation and also patched up walls also indicate a level of care that bodes well for the future of the distillery and its whisky. In time I hope to be impressed with the new whisky, because frankly the neon bottles were not the best regarded. Compare this to older photos. There used to be jagged holes in the wall where the lyne arm was made to feed through. Also note that these are some fat onion shaped stills! Same livery. G&M bottles are easy enough to read. Bottle code ‘JF’ thats 2006. That does mean that this mini has been sitting on the wall of their Elgin shop for 8 years. Nose: Well it is rather simple, but it also very natural and that tells a tale or two about the spirit. This one says lime leaf and raw sap, lingering mustiness like an old cupboard that’s been recently cleaned out. Fairly flinty, and lots of unripe green fruit that make you salivate with their sourness. Tiny dribble of clear honey. Not sure if there’s a tiny bit of salt or its suggestion. Palate: This less is more profile. Mild and malty. Very clean. Lime zests, chalk and unripe fruit. Bit of engine oil too. The tiniest pinch of salt. Very pleasant very drinkable. Some Campbeltown character also makes it clear this is no speysider. Nose: Oak extract. Blended wood juice. A bucket of peppermint lozenges. Perfect example that older is not always better. This one has overstayed its time in wood by maybe.. 10 years. the entire barrel should have been returned for blending with 3year old malt to create some NAS. Palate: Great for that one morning you woke up and thought Hey I wonder if I should go chew on some oak planks, but I’m not sure my teeth are up to it. Also really hot and really spicy. Finish: Did not drink to find out. Well this won’t do. It’s not like I have a plethora of Glen Scotia around, so maybe something else from Campbeltown that is not Springbank. Kilkerran. Another rescue story. 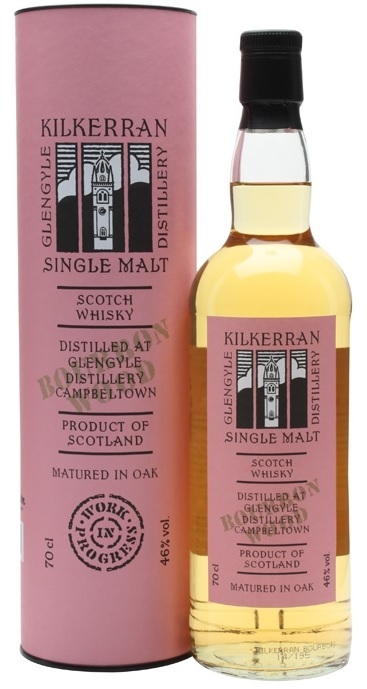 Kilkerran is distilled at Glengyle distillery, because the trade name Glengyle is owned by Glen Catrine Bonded Warehouse. Aha, Glen Scotia’s owner and just somehow neighobourly love does not extend to giving up a trademark name. 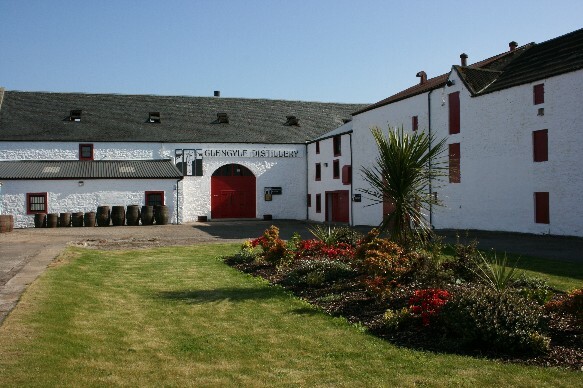 Anyway the first Glengyle was one of the first to be closed in 1925 by the collapse of the Campbeltown whisky industry and remained shut for almost 80 years. The owners of Spingbank (J&A Mitchell & Co) decided that the time was right to start a new distillery – perhaps it was due to chairman Hedley Wright being the descendant of the founder of Glengyle, William Wright, or perhaps the move was strategic: Campbeltown had to have a third distillery, another champion of the region, because you know… the recognized ‘Lowlands’ also only has 3 distilleries? Anyway it came to be that production restarted in 2004. It was no mean feat. The buildings were empty shells and a distillery had to be built in them. 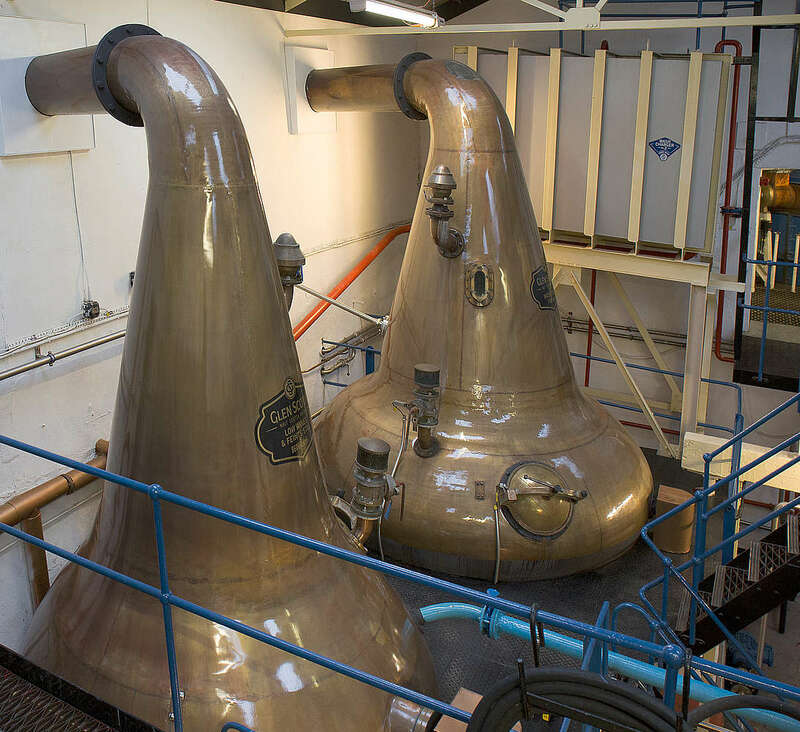 Of note, the stills came from Ben Wyvis (itself amazingly rare as it operated in the Invergordon grain distillery from only 1965-1977), and were altered with a specific make in mind. Dave Broom tells us the ogee was reshaped, the shoulders were sweetened and the lyne arm angle adjusted upwards. So the shoulders were made more rounded and less angular and the base of the neck was probably narrowed and the lyne arm angle increased, all to give more reflux, perhaps a lighter cleaner spirit than Ben Wyvis’ was wanted. Why ‘WIP’? The Work In Progress range had been issued yearly since WIP 1 was released in 2007 as a 3 year old whisky. This year saw WIP7, an 11 year old whisky, and if you look at the website, you’ll see that Kilkerran 12 is due for release this August 2016. Exciting times. Nose: Exclamation mark. So natural and so fantastic. Wall putty and pitted concrete. Hot sand and gravel, so pretty mineral-ed. Clean earthy notes like clay and petrichor. Even a touch rubbery, bit of green apple too. Fantastic natural character that is the polar opposite of sweet wine. This is analogous to the distiller taking the narrow winding path instead of the straight and easy path. Palate: Ok some oak and vanilla notes appear here, well they had to appear somewhere but it’s all very very controlled and very dry. Smoking white sugar with black pepper thrown in. But it is also rather quite doused with some mixture of celery juice, yeast, and fisherman’s friends. Malt wrapped in carbon paper? Finish: Medium long, very clean and astringent. The aftertaste of the most acidic lemon zest. Look, this is not for the sherryhead. But if you genuinely like whisky and not wine then you will find this to be truly excellent at such a young age. Only the want for some more complexity (it’s still rather ‘straight’ and young) and the strength keeps this from a higher score. This entry was posted on April 20, 2016 by Whiskyrific in Glen Scotia, Glengyle and tagged Glen Scotia, Glengyle, Kilkerran.